After the accident, Jeff Pleasant’s health went downhill. He was no longer physically fit enough to fly into space, but became part of the ground team for the Mars mission. Diane’s incessant worrying about Jeff’s welfare also led to the worsening of her own health. Daniel and Jennifer could only watch their parents’ inevitable decline. It was bad enough that Jeff could not fulfill his dream of flying to Mars, so Daniel was determined to achieve as much as he could in his footballing career. Fortunately for the younger Mr Pleasant, he recovered from his ankle injury, and was back playing regularly for Simley Town. That year, Daniel enjoyed the jubilation of Simley Town becoming the champions of Primary League B, so they club got promoted to Primary League A for the first time in decades. Daniel had also gotten a new girlfriend, a manager of a fast food joint, the friend of a friend of one of his teammates. After three years of dating, this girl was fed up that Daniel had yet to “pop the question”. She issued him an ultimatum to give the relationship all or nothing. Daniel chose “nothing”, and was left alone again. That year, Simley Town finished in the bottom three of the Primary League A, and was relegated back to the Primary League B. However, the team’s setback did not prevent others from noticing Daniel’s footballing talent. 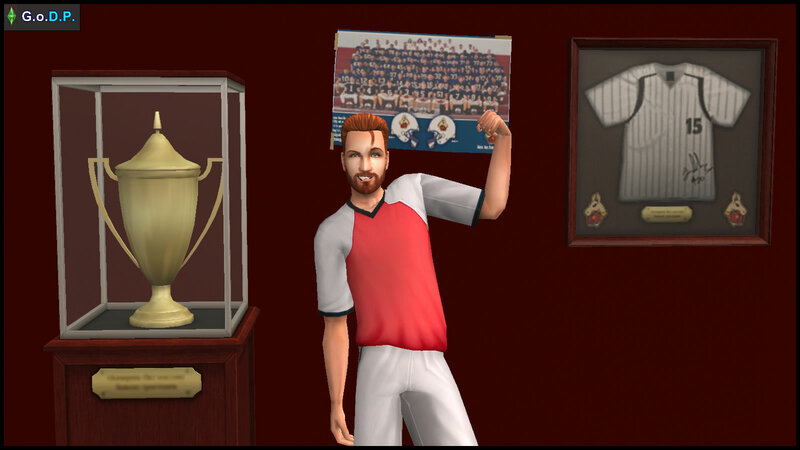 Daniel received an offer from Simsborough FC, a team that consistently finishes in middle to high positions in Primary League A. Simsborough FC had a good previous season, finishing in third place, thus qualifying them for the Champions League (**) for the first time in Simsborough’s history. 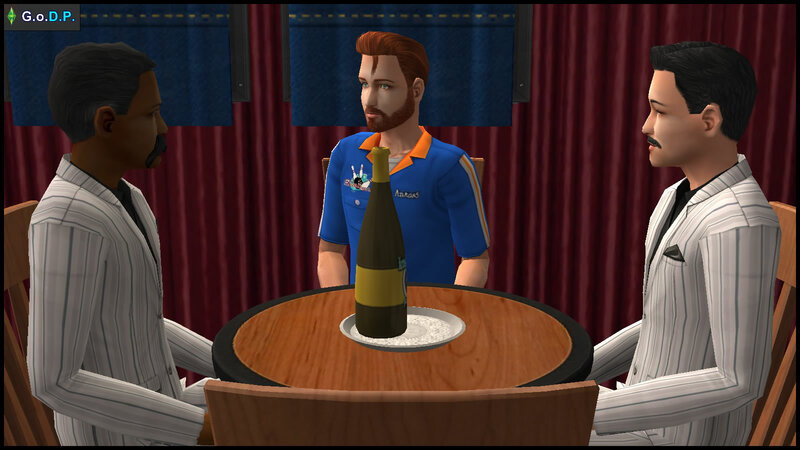 Simsborough FC had also sold their best player, Gerald Carragher, to Simmerpool FC, a consistent League A titan. Carragher was their star midfielder and free kick taker, who commanded a hefty transfer fee. This could be a golden opportunity for Daniel Pleasant to rise as the new star midfielder of a more prestigious club. However, the newspapers also reported other transfer rumors for Simsborough FC: the club was also eyeing other experienced talented players, besides Daniel. One of them was Simerazzi, a veteran who recently came back out of retirement. Daniel remembered how good Simerazzi was back in the day, but Daniel savored the prospect of playing in a “safe” club like Simsborough, where relegation was not a major risk. Daniel was walking by the park, deep in thought over his club transfer prospects. The sight of a familiar face interrupted his train of thought. There sat Mary-Sue Oldie on a bench, reading a newspaper. He had not seen her in ages. Since she was concentrating on reading instead of on her surroundings, Daniel took the chance to stare at her. He had forgotten how her exotic beauty once captivated him. Daniel smiled. He was pleased to see Mary-Sue in a lighthearted mood. Mary-Sue looked hard at Daniel for a moment, before smiling and nodding. Over dinner, amid the discussions about football and politics, Daniel was unsure if Mary-Sue’s presence indicated any wish on her part to get back together with him. Now that they were both grown up, he wondered if their awkward teenage encounters had any bearing on their present situation. At least she was behaving in a friendly way. No need to rush, thought Daniel, as he poured out more nectar for them both. “Daniel, you’re a nicer man than you were as a boy. You should show this side more often,” gulped Mary-Sue, as she downed her third pint. The last thing Daniel could remember, midway through his fourth pint, was locking lips with Mary-Sue. The next morning, he found himself shirtless in his bed. At least she was considerate enough to lock the main door of the apartment before she left. 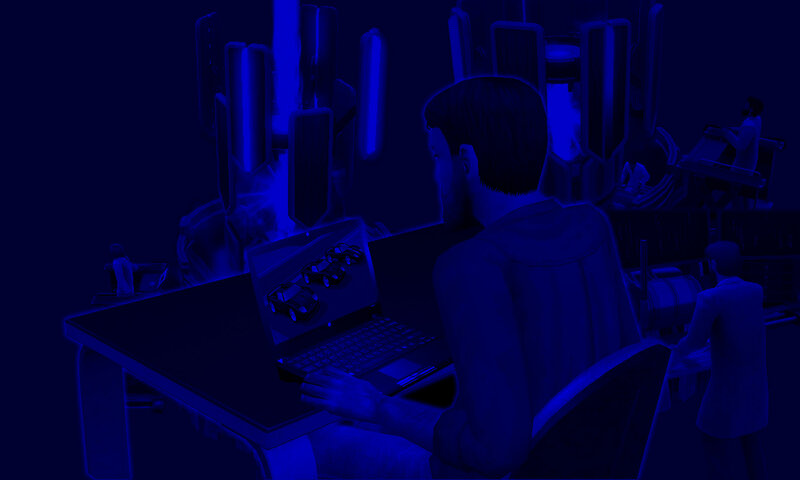 Two days before Daniel planned to accept the offer from Simsborough FC, he was greeted with news from Mary-Sue Oldie, informing him of her pregnancy. 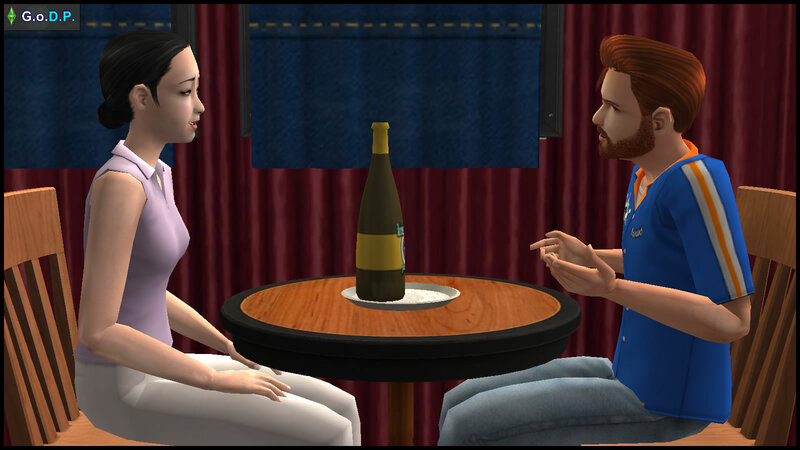 So Daniel and Mary-Sue sat down for a solid discussion about their future. 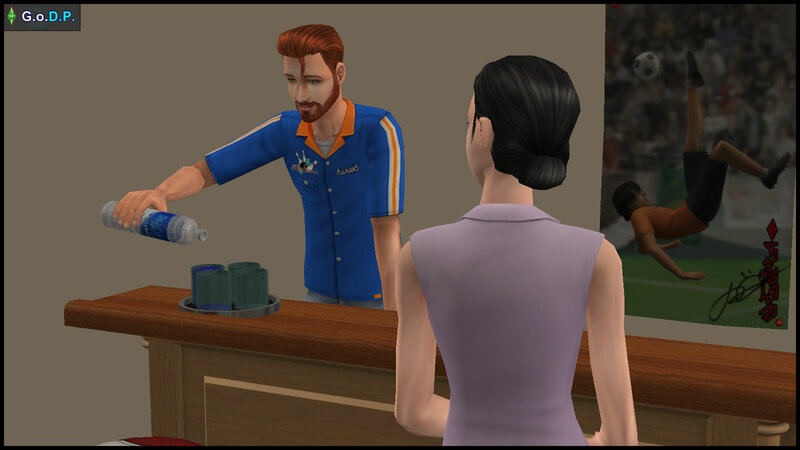 As Mary-Sue had good career prospects in the Simtory Party, she would prefer to continue living in Pleasantview. However, Daniel reasoned to himself that in a bigger club like Simsborough FC, he may not have an assured place in the Starting Eleven, which may leave him losing precious playing minutes while rotting on the substitutes bench. So the next day, Daniel said “no” to Simsborough FC. Within the month, he popped the question to Mary-Sue, who said “yes”. and headed off for their honeymoon in Sunlit Tides. They preferred a different locale from Dragon Valley, where Daniel’s sister Jennifer, and her new husband, John Burb, had their honeymoon a year ago. 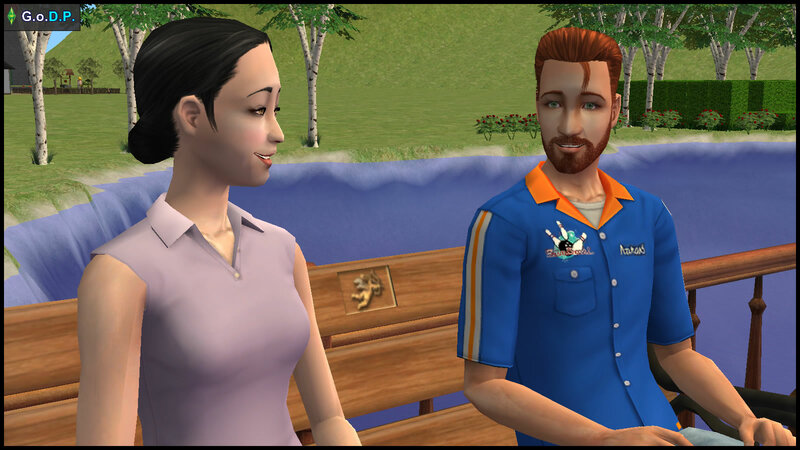 Soon, Daniel and Mary-Sue Pleasant were back in Pleasantview, having bought their house in 215 Sim Lane. When Mary-Sue gave birth, there was no doubt at all about the twin girls’ paternity. 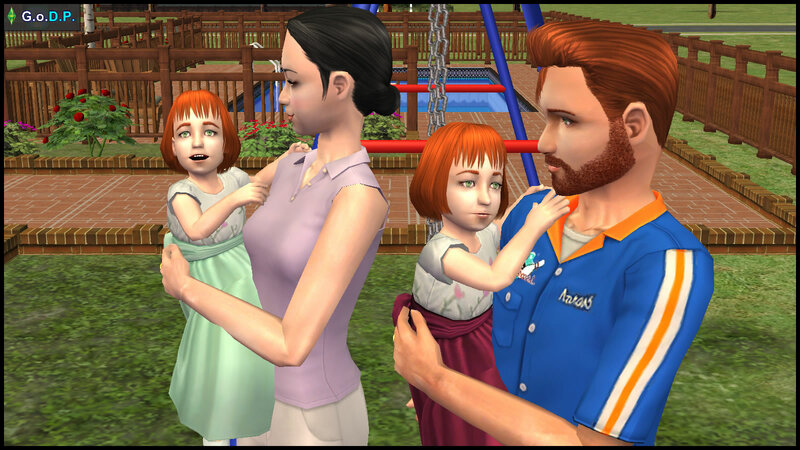 While Daniel was overjoyed at becoming a father, he privately lamented that neither Angela nor Lilith seemed to have inherited any of Mary-Sue’s exotic beauty. How will the Pleasant twin girls turn out? How will Daniel and Mary-Sue’s careers progress? ANY of Daniel’s “previous girlfriends” might have been a much better match than Mary-Sue. He might have had a chance to get someone more compatible, if not for that one reckless evening… even so, he needs to stop messing around if he wants to be a genuinely good match for anyone.